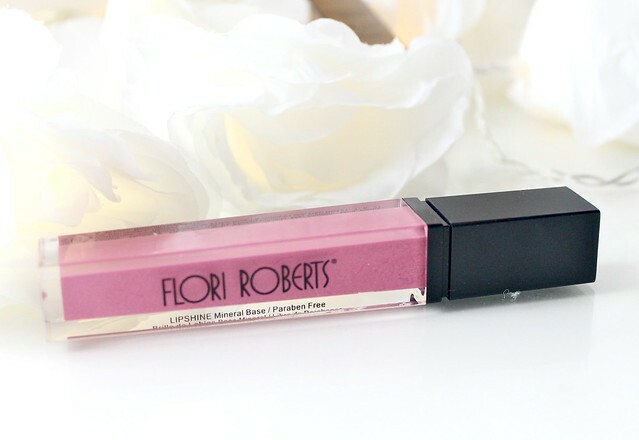 Until I was contacted by Flori Roberts on Twitter, they were a brand I'd never heard of before. 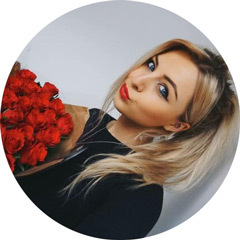 However, after they asked me if I'd like to try some of their lip products, I did a little bit of research and was impressed by what I saw on their website. They asked me if I preferred neutral or bright shades and as someone who is rarely seen without my statement bold lip, I told them I was more of a brights girl. Flori Roberts is a US company and they specialise in makeup for black/afro-american skintones. However, lots of the products they stock are suitable for all skin tones, such as the products I'm going to talk about in this post. 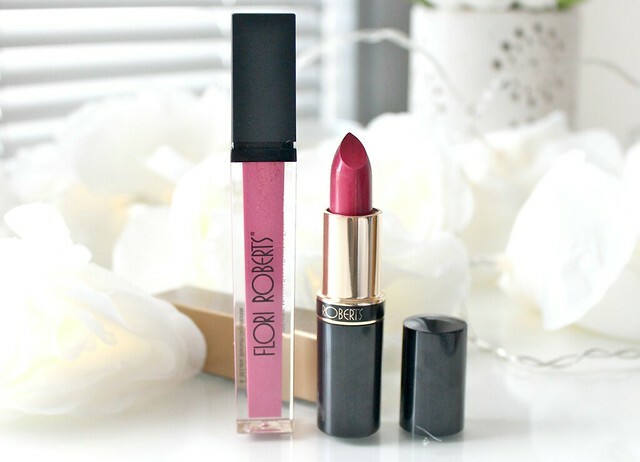 The two products I was sent are the Moizturizing lipstick* in the shade 'Fierce', a perfect berry pink and their Lipshine Mineral Base* in the shade 'Orchid', a pastel pink lipgloss that can be worn with the lipstick or on its own for a light wash of colour. Now as I'm sure you all know, I'm a sucker for nice packaging so when I opened my package from Flori Roberts and saw how beautiful their packaging is, I was instantly sold. 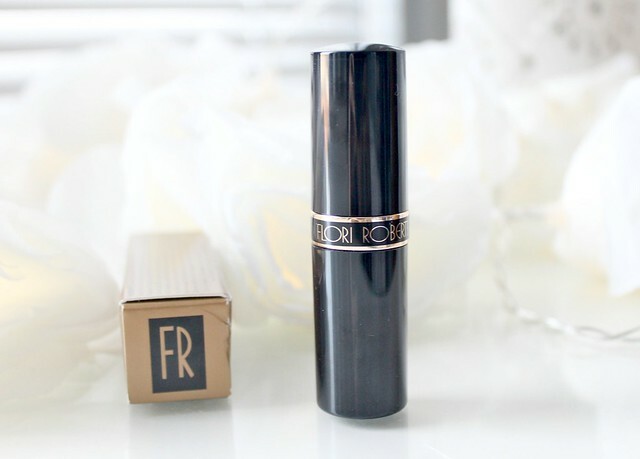 The lipstick is contained in a sleek yet feminine gold and black tube and the lipshine is really cool - a square shaped tube with the product encased down the middle. I also love the font they've used for their brand name so its safe to say on the packaging front, I'm impressed! As well as looking pretty, these are actually very nice products and ones I've been reaching for on a regular basis. When I'm trying new brands that I haven't heard much about before, I'm always a bit wary about them. I have no idea why - maybe I've just got the mindset that if its not a well known brand, surely it can't be any good? I know, that sounds really terrible but I'm sure a lot of us feel the same way. 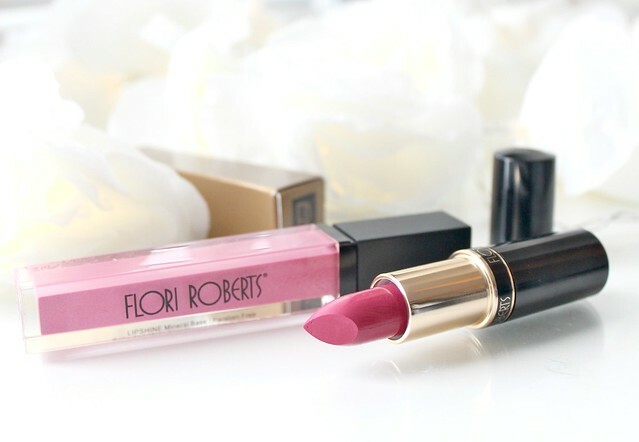 However, despite that, I think its important to support new and upcoming brands as there really is some gems to be found and these products from Flori Roberts have really proved that to me. The lipstick is very pigmented, very moisturising and long lasting. Both the formula and packaging are very comparable to more high-end, well known brands and the colour is totally 'me'. When I was chatting with FR on twitter, they asked what kind of shades I liked and I told them berry pinks were my fave. They were totally spot on with the shade 'Fierce' they chose for me - I absolutely adore it. 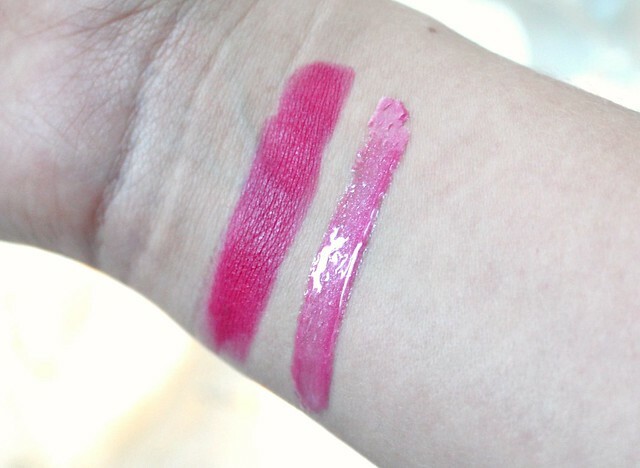 The lipshine is just as lovely - again, very pigmented and long lasting. The only downside is that its a tad too sticky for my liking! 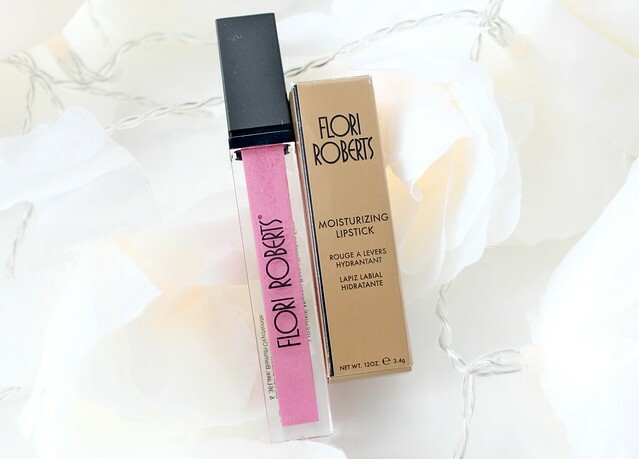 Overall I think these are fab products and I'd definitely consider trying more of the Flori Roberts range. Have you ever heard of this brand? What do you think? Such gorgeous colours, I love the branding too! Wow the pigments are amazing! Love the lipstick! The packaging for that lipgloss is absolutely beautiful! I've not heard of this brand but they are such gorgeous colours! 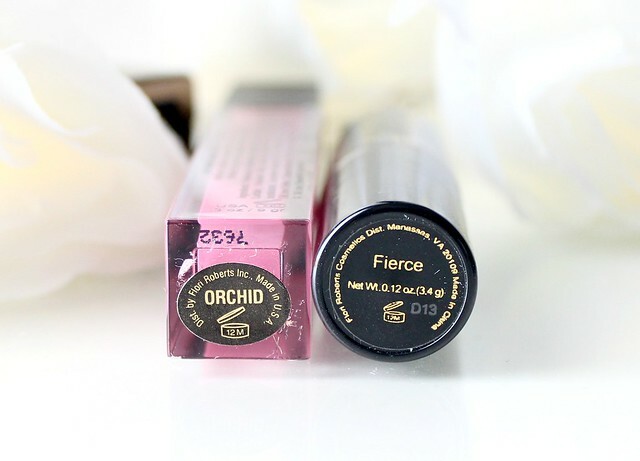 Ooh such pretty springtime shades! such bright and beautiful shades. not a brand i've heard of either but if i ever come across it i will be sure to jump at the chance to try it! 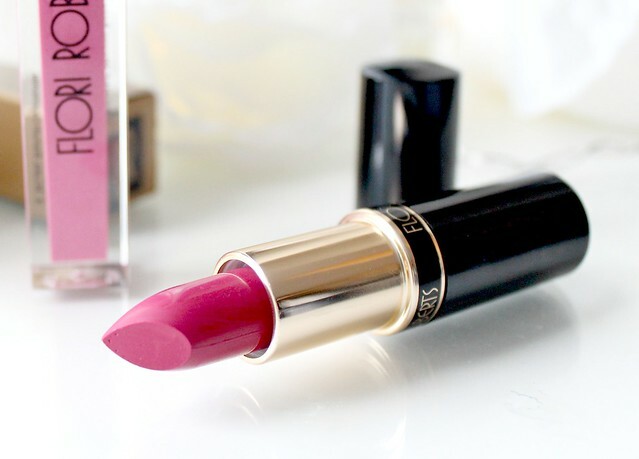 So pretty and I have been loving this color for lipsticks lately. The lipstick is so pretty. I love pink shades with red undertones. Great for us fair skin gals.